Have you ever looked up into the night sky and wondered if anybody was listening? What if they were? We live in a universe where 760 extrasolar planets have been identified and perhaps billions are waiting to be found. 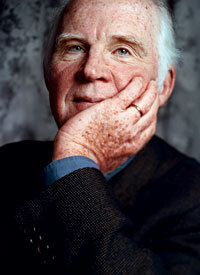 If life has been able to thrive on Earth, logic suggests that it might be plentiful elsewhere throughout the universe. We just have to find it. We wonder what lies beyond the horizon. When man walked on the moon, we wept with Walter Cronkite and reflected with Eric Sevareid on the meaning of it all; we were no longer tethered to our home planet. Thanks to a Voyager, Pioneer, and the upcoming New Horizons spacecraft, we have transformed our knowledge of the outer planets in our own backyard. 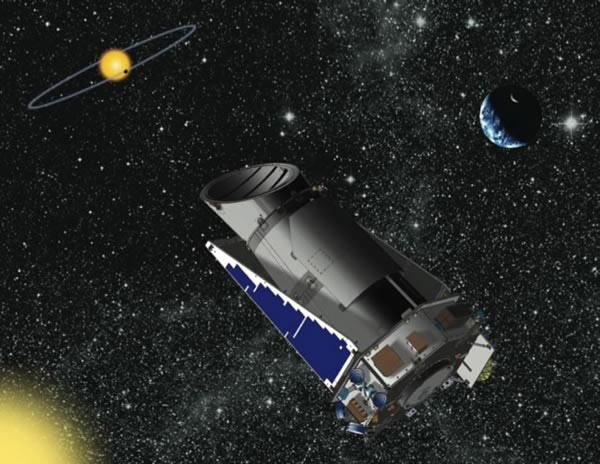 But the biggest prize could belong to the plucky little Kepler Space Telescope, which is designed to discover earth-sized planets, far outside of our solar system. This could be the next generation of Great Discovery. 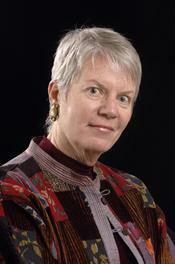 Jill Tarter’s TED® Award Speech. As scientific study reveals new answers, the odds favor a more vibrant cosmic neighborhood. However, until the initial moment of contact occurs, the answer remains elusive—but tantalizing with promise. How many planets might support life? Indeed, what is required for life to exist? How does life start? How does it evolve, and what fabulous creatures can evolution produce? How often do intelligent creatures appear in the giant tapestry of life? Do we even know what life would be like elsewhere? These are the questions being addressed by the scientists at The SETI Institute. How close are we? Jill Tarter joined us for The Luncheon Society for a fourth gathering, this time in Manhattan at Prime House, where we had a distinguished group, including Dr. Neil deGrasse Tyson and Dr. Jeremiah P. Ostriker. This luncheon was hosted by our good friend Jim Day, who once again proved to be a wonderful host. From Taylor Branch’s vantage point, the shame of the NCAA is that it has grown into a multi-billion-dollar monopoly that benefits everybody except those who play the game. The sum total of the tickets, jerseys, corporate sponsors, shoe contracts, boosters, luxury boxes, and other souvenirs has made collegiate sports branding in a multi-billion dollar enterprise. Even with the baby steps of reform, the players will get next to nothing. To Branch, the contrast of poverty from those who pay the game against the backdrop of overflowing riches of the universities and the NCAA who acts as the judge, jury, and executioner is overpowering. 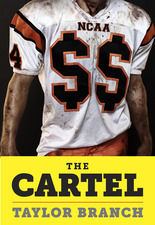 This premise underscores his latest book, The Cartel: Inside the Rise and Immenent Fall of the NCAA , which was serialized in The Atlantic. Thirty five years ago, nobody could have foreseen the explosion of cable sports and how it funneled a Comstock Lode of money into the NCAA as well as the university sports programs. According to Taylor Branch, all of that money creates the opportunity for large-scale fraud and nobody should be surprised that this environment has produced scandal after scandal. Cam Newton fell under a cloud because his father allegedly tried to broker a deal that would have his son return to a top-ranked collegiate program. Reggie Bush returned his Heisman Trophy because of an inappropriate relationship with sports boosters who paid his expenses while at USC. Countless coaches have been fined, fired, or had their programs sanctioned due to various violations. As more dollars enter into the fray, the scale of corruption only increases. Branch joined The Luncheon Society for his third appearance over the years, this time at Prime House in Manhattan. We were thankful our friend Steve Schlesinger was able to host the gathering and it was a filmed affair, part of a larger documentary on Taylor’s book.